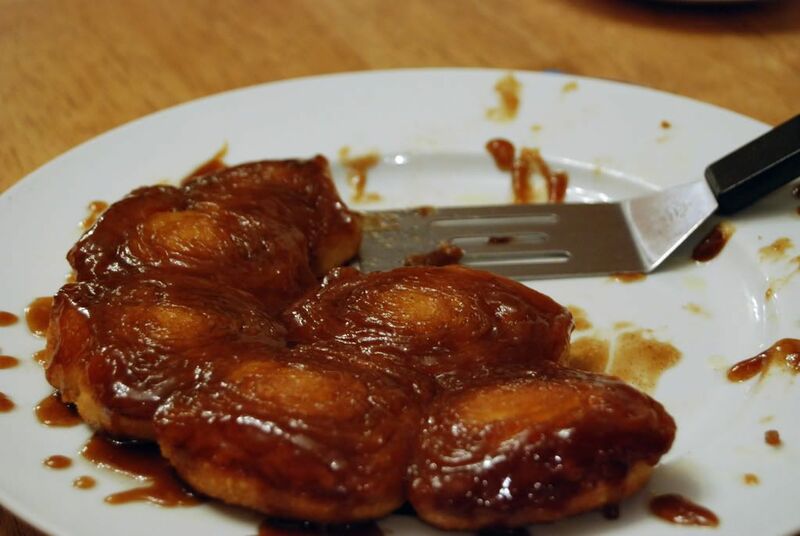 Easy, gooey, delicious, warm and perfect with a cold glass of milk (or hot cup of coffee in my case)-- we had these for breakfast this morning! 2. Combine brown sugar, butter and syrup in an 8-inch round cake pan. Bake at 375 for 5 minutes until butter melts; stir gently to blend ingredients. Sprinkle pecans over butter mixture. 3. Remove dough from package and DO NOT unroll! Slice roll into 12 slices. Combine 1 Tbsp. sugar and cinnamon. Dip both sides of each slice of dough into the sugar mixture. Arrange slices, cut side down, in prepared pan. Sprinkle any leftover sugar mixture on top. 4. Bake at 375 for 18 minutes or until golden. Invert pan immediately onto a serving platter, and serve rolls immediately.